A gentle but effective soap-free cleanser that helps remove dead skin cells cellular debris and makeup without over-drying the skin. Multi Fruit Cleanser is ideal for all skin types. Use morning and night. Apply on dry skin, massage in, then add water before rinsing off. Follow with Peach Toner. 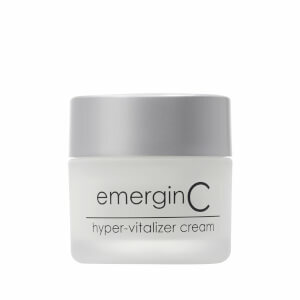 Save 20% off EmerginC. Discount already applied to the RRP - no code required. For a limited time only. I have used this for 18 months, it IS without a doubt the best cleanser ever. This is a great cleanser leaving my skin feel so soft and refreshed, its best used on dry skin though not wet. will be buying again..
My skin has been rejuvinated, would definatly suggest this product for cleansing to anyone!